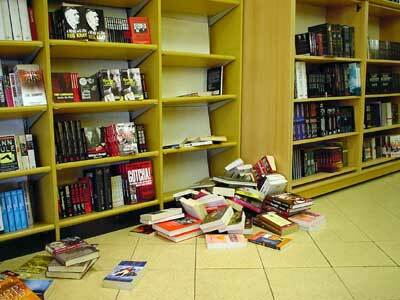 It may be London's biggest bookstore, but its chaotic reputation has been well earned, as this example shows. It would be a shame to see this fine old store close down as a result of competition from the likes of faceless corporates like Borders, but it can be a real pain trying to find stuff! Thankfully, a major refit is on the cards.